We were delighted to be awarded the contract for a full Refrigeration fit out of Baggotts newly extended & refurbished Centra Convenience Store in Clara, Co. Offaly. 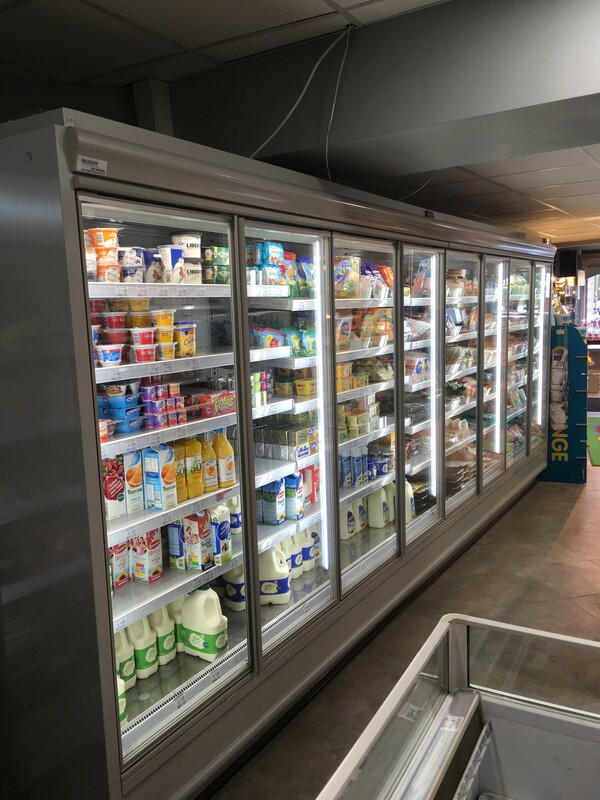 The original shop consisted of a 2.5m Well & Wll Freezer display cabinet, 2 x 2m plug in Chilled Dairy display refrigeration cabinets, an upright 2 door chiller for Beer and an upright 3 door upright chiller for Minerals. 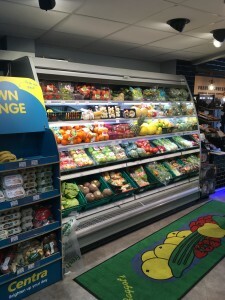 They had no section for chilled Fruit & Veg display & no Air Conditioning. 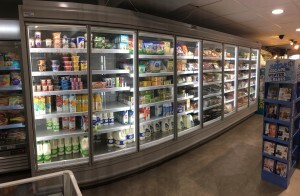 The customer had huge problems when it came to the summer time where high temperatures in the shop caused fridges to run longer to struggle to reach temps. 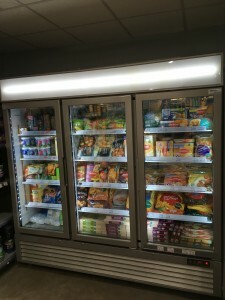 For a relatively small shop his Monthly overheads on Electricity was very high. 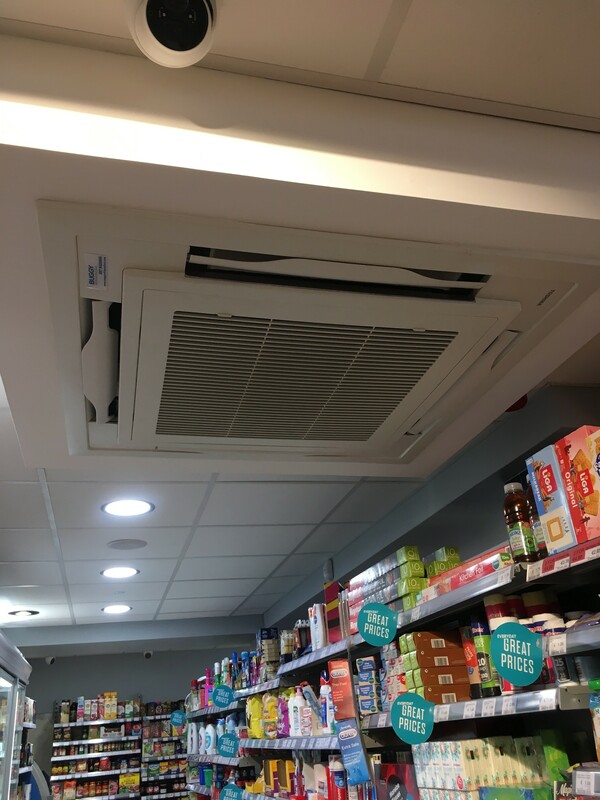 This certainly needed to be addressed and our customer knew what he needed to do to rectify the situation. 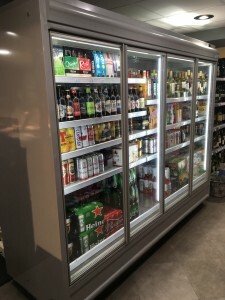 The project really started to roll when the customer purchased a shop unit next door. 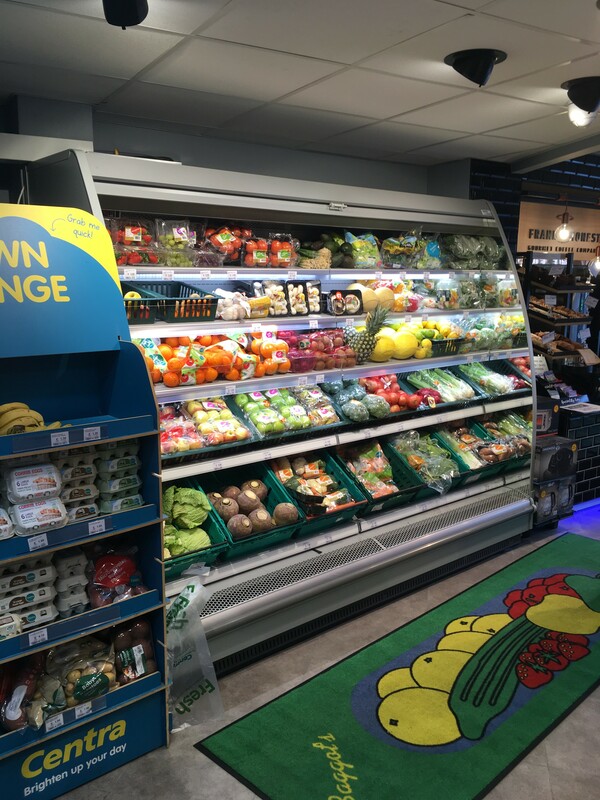 This extra bit of space gave them the freedom to develop their store into a modern site with offering their customers fresh food and Groceries high on the agenda. 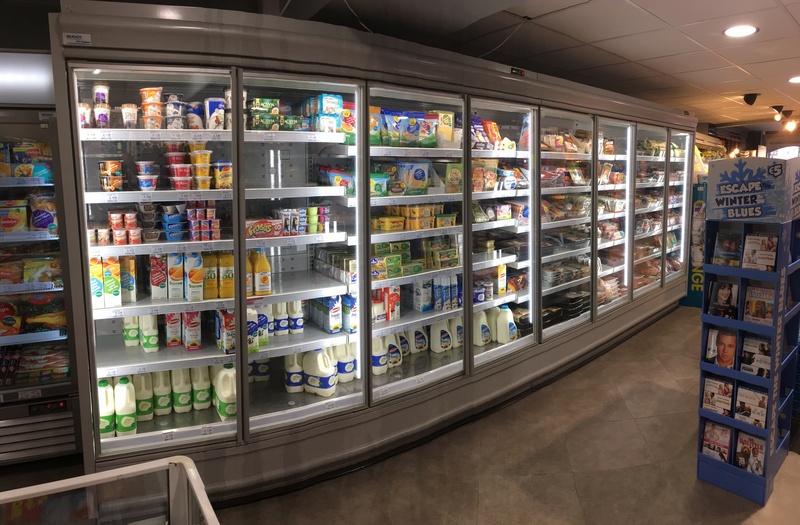 The site upgraded their Coffee & Deli Bakery Concepts along with a brand new Fresh Fruit & Veg Display. 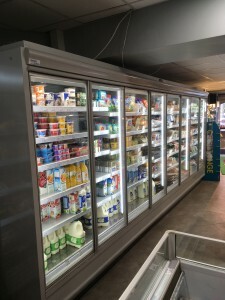 Their slim-line Chilled Display cabinets with Glass Doors fitted perfectly into their remit and the savings to their Electricity costs are already visible. 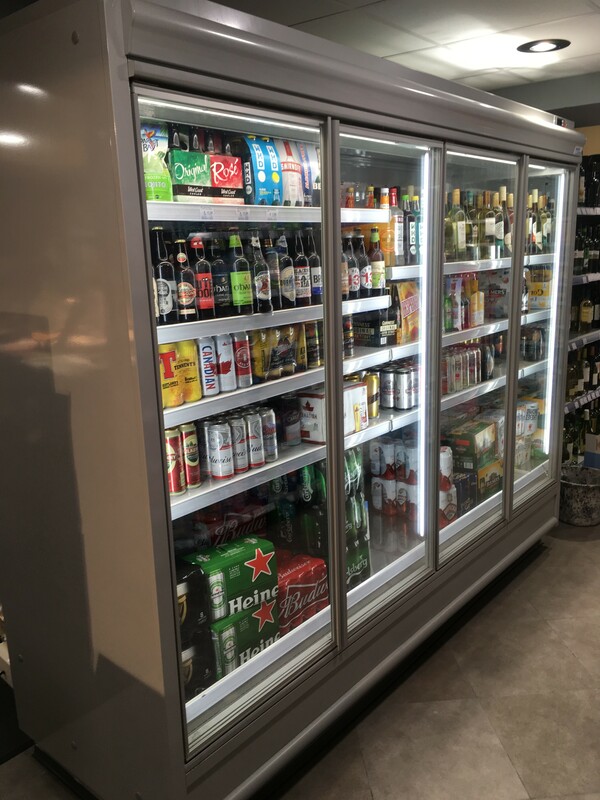 We Installed all the Chilled cabinets onto a NEW Digital Remote Pack Condensing Unit. 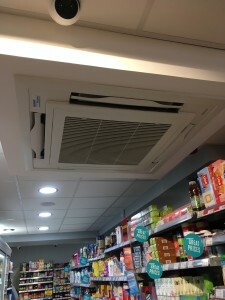 This meant no more noisy motors creating unnecessary heat in the shop floor. 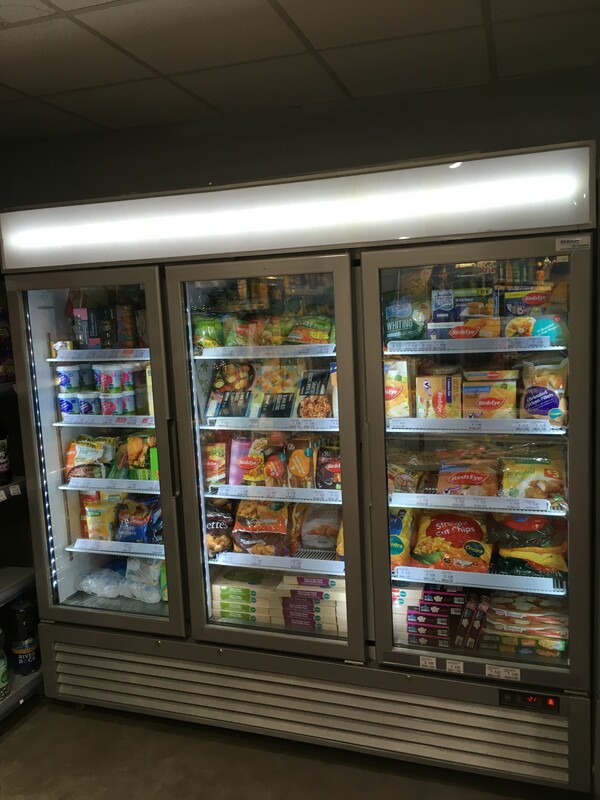 Their original Frozen Food cabinet was troublesome and we change it with a 3 door Upright Display Cabinet that is 75% cheaper to run. 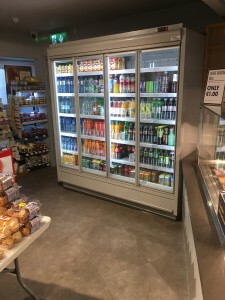 We installed a 14 kw AC System near the tills to create a comfortable environment at the store to both staff and customers all year round. 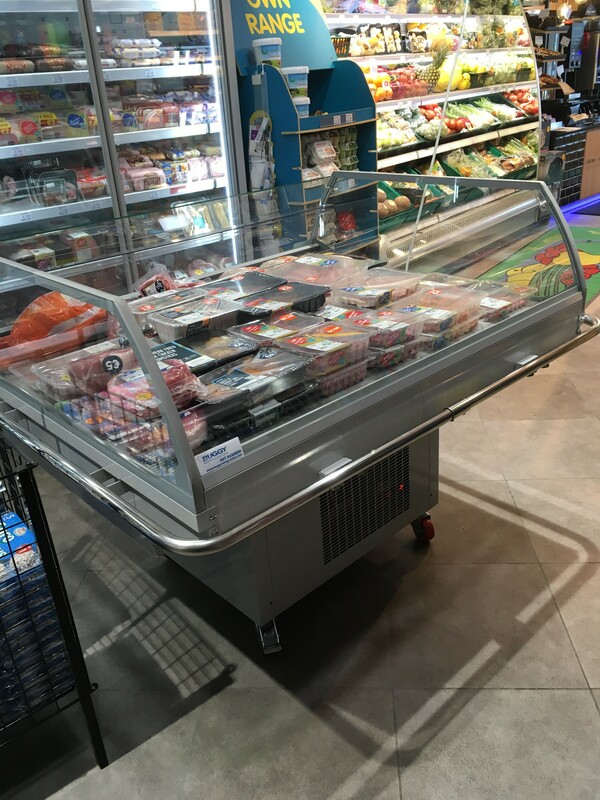 We would like to thank Deasun, Elaine & all the Baggott family for trusting in our company and our products. It was a great project to work on and we wish them all the success in the future.